ISTP's Social Emotional Learning (SEL) program is now in its 3rd year of being an explicit part of the curriculum. We have established progressions for all grade levels and continue to refine them as the students gain more skills each year. But it is important to extend the reach of SEL into all areas of school, especially the playground, so students can put it into action. Both the Elementary School Dean and the Middle School Dean attended an intensive training at the Institute for SEL, and have since then trained the other recess supervisors in how to manage conflict resolution on the playground. We use various tools, such as helping students come up with win-win solutions and using I-statements. Citizenship Standards are clearly articulated, and every teacher as well as supervisor refers to them in any conflict or discipline situation. 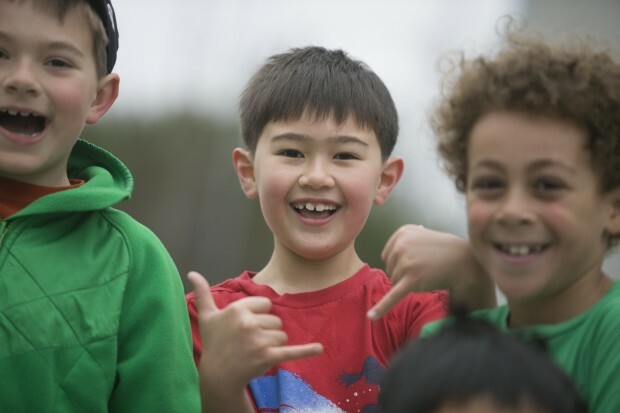 There have been far fewer incidents on the playground and in the classroom, as students become more equipped to handle their conflicts in a productive way. We also must recognize that we are a very diverse school with a broad range of perspectives. 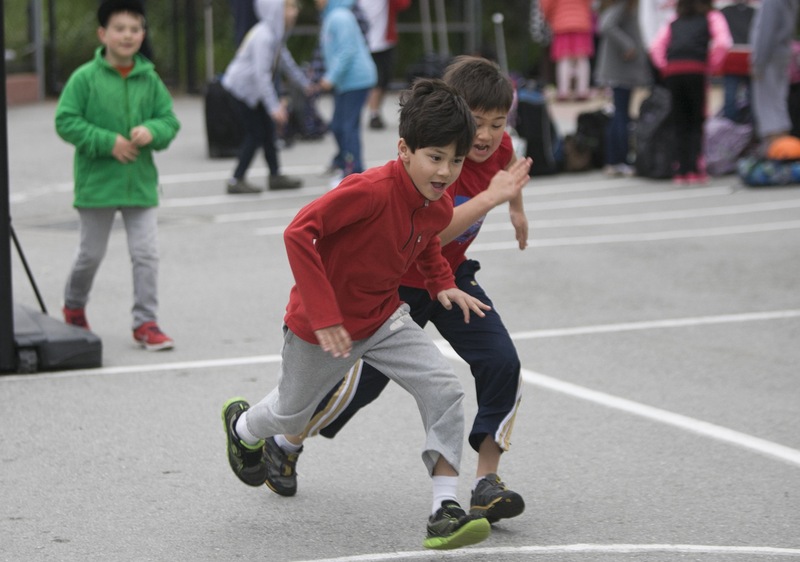 Our various cultures have very different ideas about what is acceptable behavior at recess, and we do get feedback that there is too much organization and supervision. In both France and China, there is often less direct supervision and play can be what some Americans might consider rough. This adds challenge and time to creating a truly ingrained culture of SEL and gentle play. We have discussed as a faculty and recess staff that our overall SEL focus should focus on personal responsibility – learning how to be accountable for one's own actions and not placing the blame on others, but instead thinking: What could I do differently next time? How could I have helped? What would be a win-win solution? 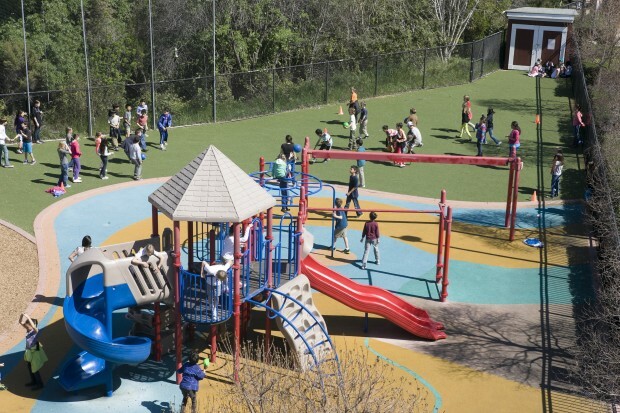 Conflicts that arise on the playground that involve larger groups of students usually lead to a larger group discussion led by a school consultant therapist, the Elementary School Dean, and often involve the Division Principal or Assistant Head of School. We have had a number of grade-level, class, or gender group workshops that have addressed issues such as boys vs. girls, inclusion and exclusion, the idea of “being popular,” and establishing common understanding and rules for popular games. Workshops are focused on encouraging student communication in a safe environment. On the playground in particular this year, we have implemented more structured games during most recess, for students who choose to join. When the fields are open, we take groups to the fields to have adequate space to play soccer or football. We have found that we have a number of upper elementary students who are good soccer players, and get caught up in the heat of the game, which is incompatible with the amount of space we have. Thus, we do have to limit soccer areas and times. We do have more supervision than in the past, as Maryam is meant to float so that she can help with more conflict resolution. The daycare meet weekly to discuss aspects of SEL, review student needs, and plan activities. We have also rearranged the timetables in all three divisions and kept the MPR for lunch so that no one is eating lunch outside while another division is playing. In terms of future plans, the biggest one is a playground renovation. This has been in the planning stages for over a year, but we are limited by upcoming construction on the levee by the water district. It looks like we may be able to make some slight adjustments this summer, but the bulk of the work would not be for another year or two beyond that. We will have better defined areas for certain kinds of play, so that a potential soccer game would not happen in and around three structures. In the meantime, we are looking at how to further structure recess so that there are clearly delineated areas for ball play and more options for structured games that do not involve ball play. Lastly, we are continuing to plan increased training for our recess and extended care staff so that they can continue to refine their responses and guidance on the playground in order to keep it a safe, energetic, and joyful place.